Reduce support costs while lifting customers satisfaction with improved ‘new-customer’ onboarding, billing and technical fault diagnosis. 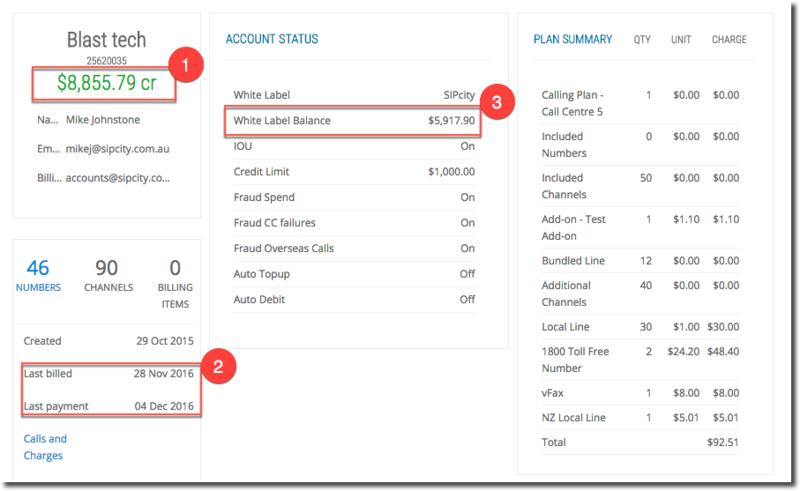 Arena is your goto support tool for technicians, billing support and third party software developers. Before accessing Arena you will first need to register for a mobile two factor authentication (“2fa”) account. We recommend Authy. Like Amazon, DropBox, Gmail and LastPass we’ve implemented Google’s 2fa platform, so your Authy account also works with any of these sites. 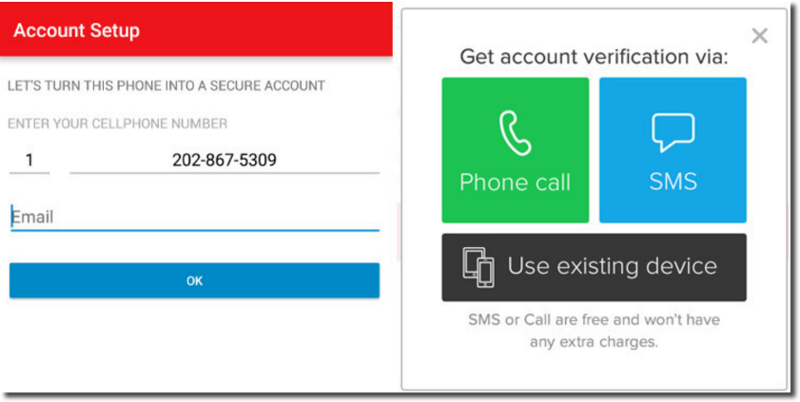 Open the app and you’ll be prompted to enter a phone number which will be the mobile number tied to your Authy account (you can change it in the settings if you ever need to).NB – You can use your Authy account against multiple sites by supplying the phone number you used when you first created your Authy account. You will need access to the phone using the number you enter here. 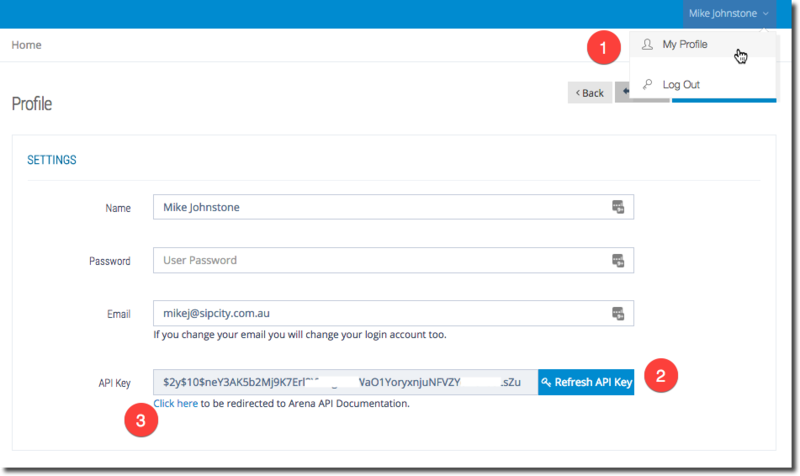 Once you’ve completed the Authy registration you will need to generate the Authy pin each time you log into Arena. We white-list your IP address when you first login removing the the need to use the two-factor at any subsequent logins attempts. If however your IP address changes, Arena will require you to re-enter your two-factor auth pin. Credentials: Supply the email address and password credentials provided. 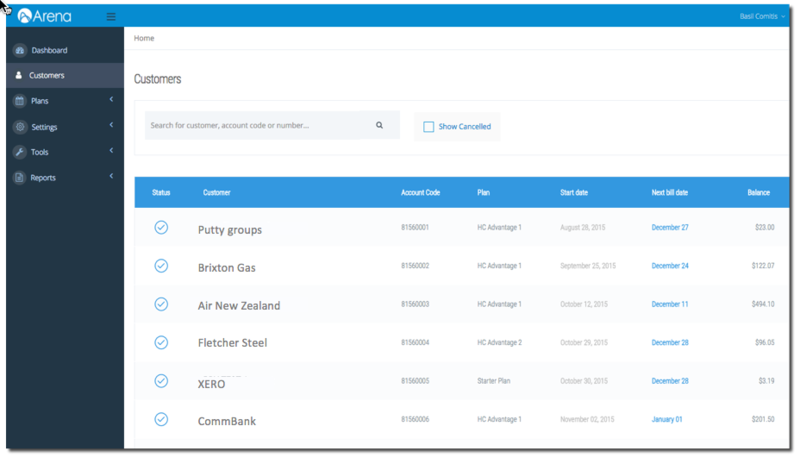 Your first view within Customers search by customer name, account code or phone number (NB accept local area codes, such as 02, 03). This first Customers view lists Active Accounts sorted by Activation date. Customers is the main function and enables you to analyse bills and all CloudPBX settings. Registration Status: Shows last registered IP address, for both Registration and Peering. Groups: Use Groups to mirror any departmental or work-group structures within your organisation (see also). Restricted: By default all lines passwords are set with the global account password. Use Restrict to set individual passwords against each line. Extensions: Set a 3 digit extension against each number. NB – only other numbers within the Group can call another extension. 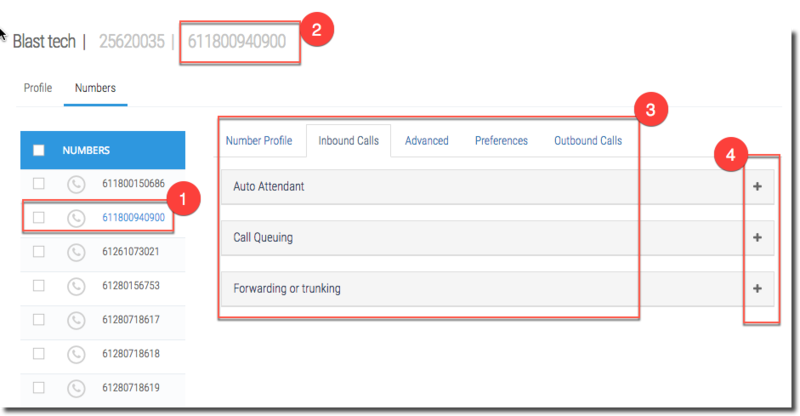 Caller Name: Will allow you to identify callers for any internal. 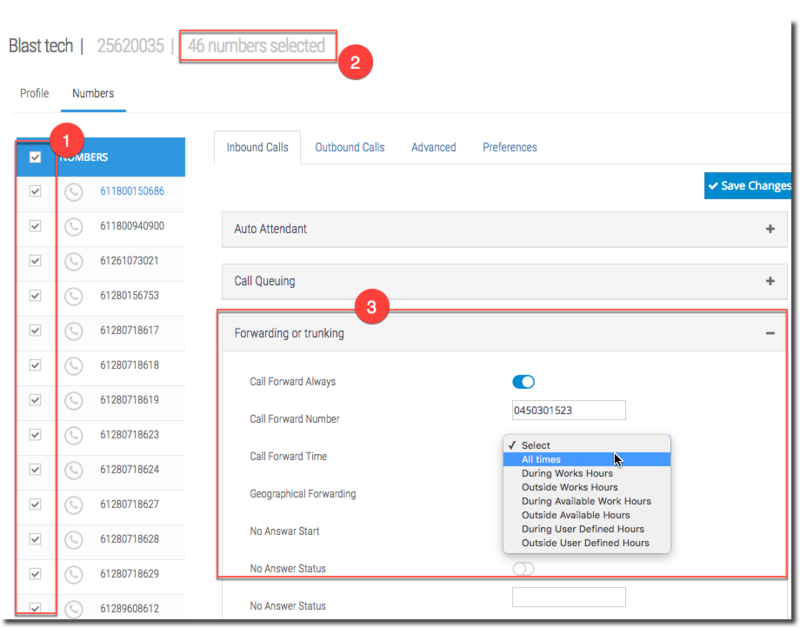 Preferences: Shows any Inbound calling features set, ranked by the Call Flow priority. To view or edit preferences against Inbound, Outbound, Advanced or Preferences by select the hyperlink under the required number. As you navigate through the numbers list the application present all features set against the number, organised by Inbound, Outbound, Advanced and Preferences. Highlight the function to expand the individual feature settings. To set update preferences against multiple lines, multi select the required lines. In bulk update mode we clear all values from the UI, updating only those values you input within this section. In the screenshot below a Call Forward to a mobile is about to be set against all 46 numbers on the account. Because we clear all values from the UI in Bulk update mode, we will over right any existing values on Save Changes. 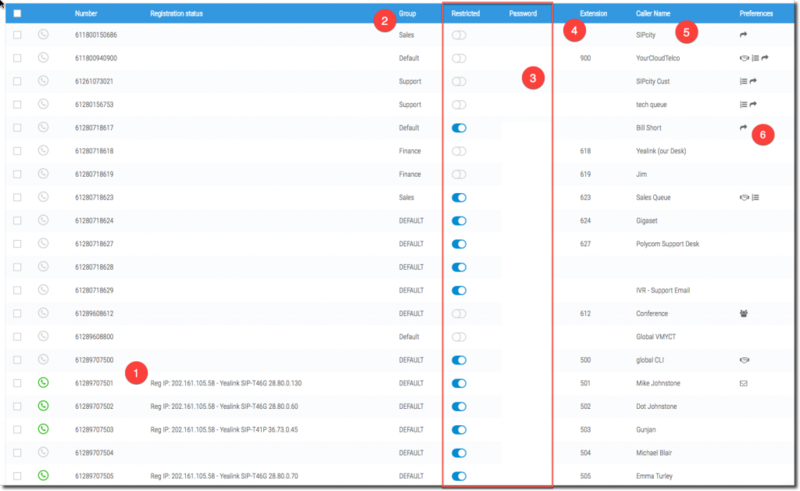 Trace is a tool for techs to troubleshoot SIP messaging and packet information against any Calls or Registration attempts made on your customers account. By default Trace searches across all IP addresses against your customer number. The Dashboards are a ‘work in progress’ which are currently limited to bookmarking your ‘favourite’ Tools and Reports. Most level one and two customer enquiries can be classified into two either billing or phone or systems connectivity. If a customer is unable to make outgoing phone calls, first make sure the customer has balance. 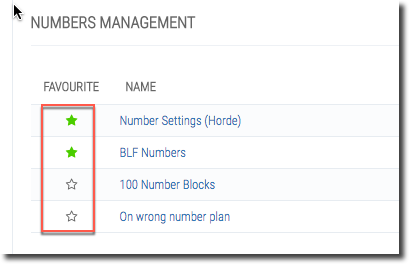 Secondly, using the numbers you’ll quickly ascertain whether the issue reported is customer network or a Call Flow configuration related. Registration Status: Most accounts will show a mixed state of Registration. What you are looking for is whether all the numbers have recently lost Registration. If not, the issue is less likely to be networking but a phone setting configuration. Phone Settings: isolate what number if having the problem. Is it Registered. What phone settings have been applied. 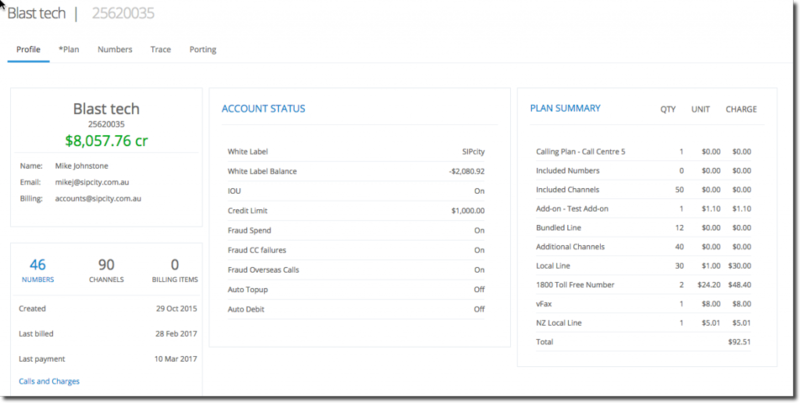 Remember the Call Flow priority will route the incoming number through its list before reaching the phone. One-way voice: Is almost always caused by a SIP ALG which requiring either a change to the customers router or alternately changing the transport from UDP to TLS.